Rest assured you are only getting excellent Mini Fleece Coolers for a less than wholesale price. 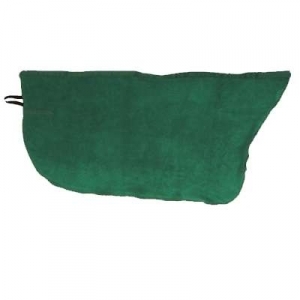 This is a luxurious product that will provide maximum comfort for your horse. We offer many award winning horse tack products at everyday low prices. This soft fleece mini cooler features a tapered neck for great fit. Additionally, it features a strap at the poll for attachment to the halter or bridle, with a closure at the front and a tail piece at the back.